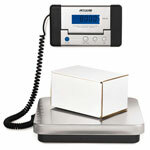 The Compact Bench Scale Composite A&D SK/SK-Z Series by AND are fast, accurate and portable. These versatile scales feature a large removable stainless steel weighing pan and an easy to read 1” high LCD display. Here you will find the best load cell, all models all brands, are highly efficient and long-lasting products because we reserve the best materials just for you. All our Compact Bench Scale Composite A&D SK/SK-Z Series are guaranteed. 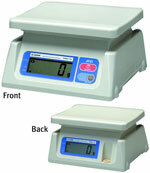 Compact Bench Scale Composite A&D SK/SK-Z Series are one of the best on the market this days. What are you waiting for ?